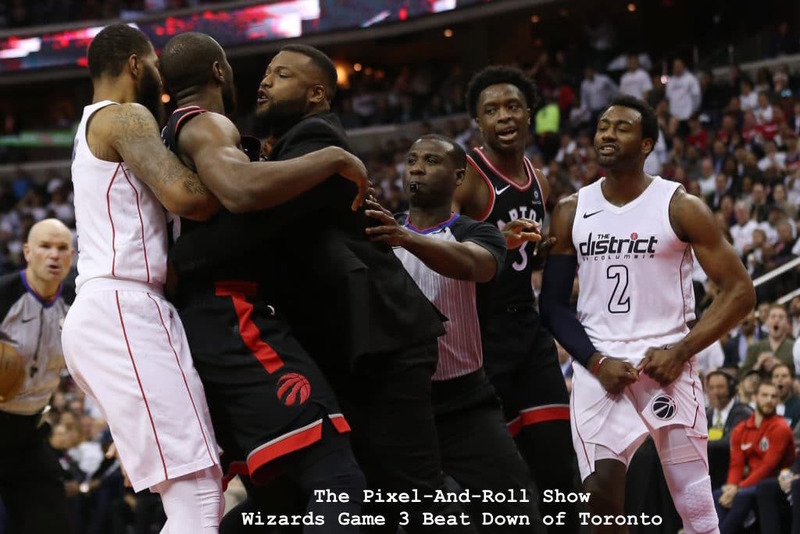 Adam McGinnis chats with Rashad Mobley of Truth About It, about Washington's playoff series with Toronoto after the Wizards desstroyed Toronto in Game 3. Topics include: playoff overviews, Beal & Wall strong Game 3 play, Gortat's slump busting, Otto's disappearance, Oubre's spark, Raptors bench, Numerous Skirmishes, Scott Brooks hatred of Tomas Satoransky, Ty Lawson, Toronto media/fans grave dancing after holding serve at home, and preview Game 4. Wizards/Raptors Game 3: Remember Wall and Beal? Special Wizards 2018 NBA Draft Preview!